Guna Foundation has been granted powerful animation programs as part of the Autodesk Technology Impact Program. We are thrilled to have access to this industry standard animation software, which will be of great benefit for our next film project. We receive 4 licenses for Entertainment Creation Suite Ultimate 2014 which includes Maya, 3Ds Max, Softimage, Mudbox, Motion Builder and Sketchbook Designer, a donation valued at thousands of dollars. A big thank you to Autodesk for donating software licenses each year to nonprofits. 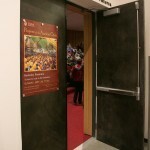 On September 29, the first public screening of Prayers of the Ancient Ones was held at the David Brower Center, a wonderful space in the heart of downtown Berkeley, with an audience of 125. 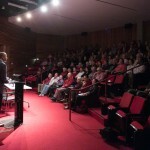 Responses to the film were very positive, and audience members came away inspired. The post-screening panel, graciously hosted by Producer Barry Schieber, was notable for a series of particularly thoughtful questions from the audience. 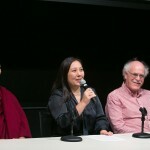 Panel members – Director Pema Gellek, Assistant Director Hugh Joswick, guests Jack Petranker and Lama Palzang – had an excellent opportunity to respond in kind.